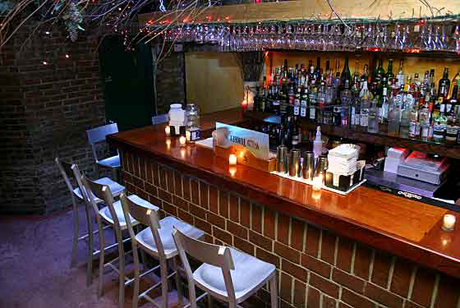 In searching for the best Italian fine dining restaurants in New York, I found that there is a great selection of inexpensive Italian restaurants in the city. These mini Italian food stops are the ones which people love visiting because of their hassle-free nature. Some even have quick grab offers that suit the lifestyle of busy New Yorkers. What I love about these “cheap” Italian restaurants is that they are mostly bound by family traditions that they apply to every part of their business. These are my picks for great, inexpensive Italian restaurants in NY. 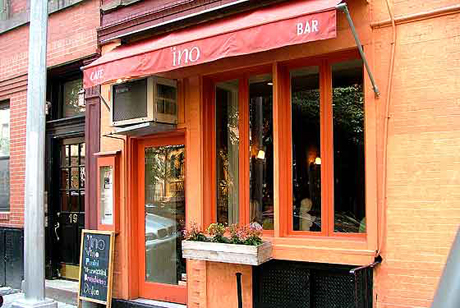 *’ino has opened a world of small but great Italian dishes for very affordable prices. This tiny sandwich bar is a big name in the Italian food scene in New York, having seduced critics and celebrity foodies into coming back for more. 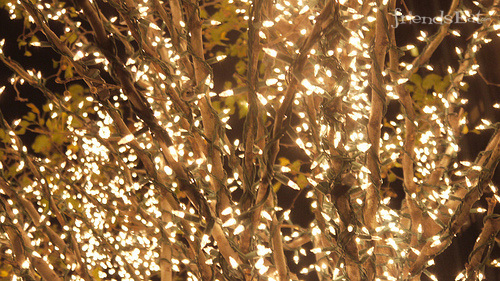 For intimate Italian dining, ’ino offers an experience like no other. Bruschettas are offered for $10 for 3 pieces, tramezzini for $7, and choose between 20 kinds of panini for only $11. You can also try their signature ’ino antipasti for $12. 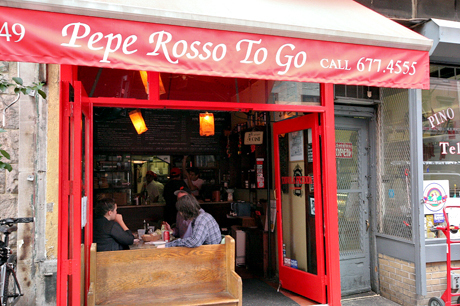 *Pepe Rosso To Go is still the leading pasta take-out joint in all of SoHo. There is no excuse not to have an Italian pasta party with this take-out joint as their dishes are inexpensive but superb in flavor. 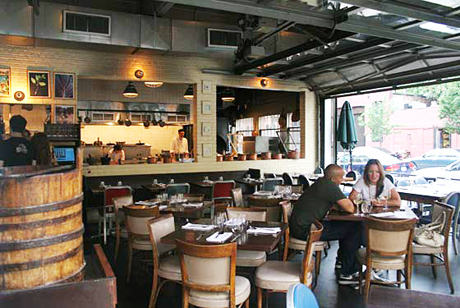 Despite it being a value restaurant, Pepe Rosso To Go is considered as one New York City’s best Italian restaurants. Avail of their daily specials for under $13 or order a simple dish like the penne with tomato sauce & fresh basil for $6.95. You can also try the air-cured beef panini for $7.95. *This mini Italian food joint serves pasta and cheese fresh on a daily basis. Drop by this place for a quick bite or takeout of some good Italian food. As much as I love Russo’s signature pasta, this take-out joint also serves some pretty decent sandwiches, which makes a good choice for any take-out plans. Order a sandwich with soda for only $7.95. Russo’s Mozzarella and Pasta offers a great deal for a good Italian sandwich quality. *There’s nothing more Italian than brick oven-baked pizzas and freshly hand-made pastas. 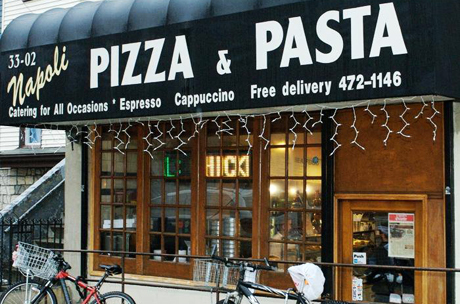 Napoli Pizza Pasta offers the best rates for Italian fare in the neighborhood of Astoria. The 12 choices of antipasti are priced within the $2 to $4.95 range, lunch specials are within the $2.50 to $4 mark, Italian heroes at $4.95 to $5.50, different pasta choices for under $10 and the best part, whole oven-baked pizzas are offered for under $20. There are lots of reasons why you should come and order one from Napoli.There’s nothing more Italian than brick oven-baked pizzas and freshly hand-made pastas. 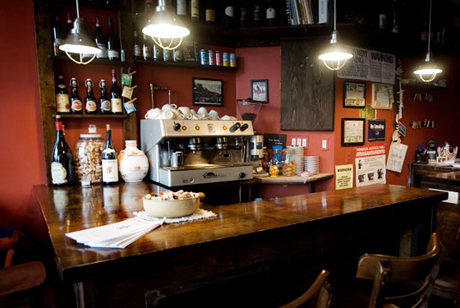 Napoli Pizza Pasta offers the best rates for Italian fare in the neighborhood of Astoria. The 12 choices of antipasti are priced within the $2 to $4.95 range, lunch specials are within the $2.50 to $4 mark, Italian heroes at $4.95 to $5.50, different pasta choices for under $10 and the best part, whole oven-baked pizzas are offered for under $20. There are lots of reasons why you should come and order one from Napoli. 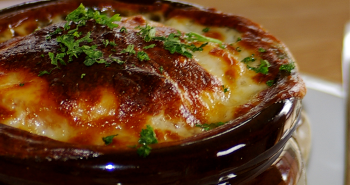 *Il Bagatto brings back the comfort of a traditional homemade Italian meal. This Italian food joint offers a few daily specials, which are made from the freshest and best locally produced ingredients possible. An Italian trattoria by nature, this restaurant is about keeping family traditions alive while moving forward with the modern times. Try the Antipasto Il Bagatto for $9.50. 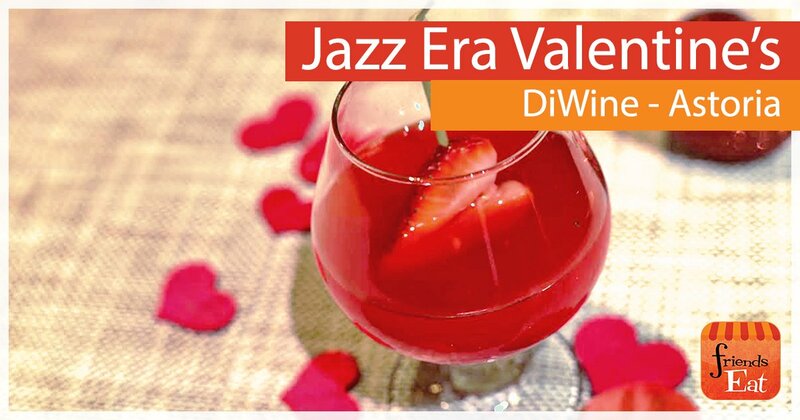 *An award-winning small Italian food joint that is known for its impeccable pasta dishes and delivery services. 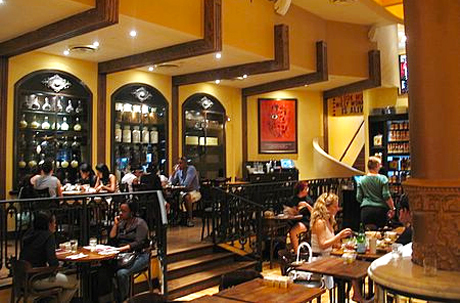 Max opened in 2000 with the goal of offering inexpensive Italian dishes to the people of New York. 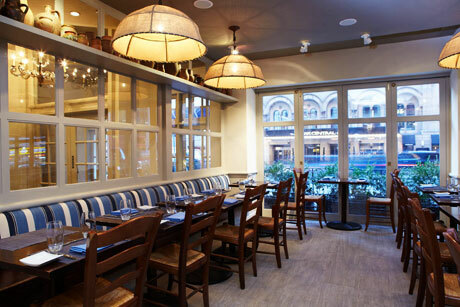 It currently has two locations (the other one being in Tribeca) and offers the same set of cheap and tasty authentic Italian classics. Try their pasta penne with fresh tomato and basil for only $11.95. *This is one of the best places to have a grandma pizza in Manhattan. Adrienne’s Pizza Bar serves pizza in rectangular shapes, defying the regular round pizza trend. For $18, you can get the old-fashioned pizza with very meaty toppings that can truly satisfy your pizza cravings. Crisp, balanced flavors and the best combo toppings ever – with a whole lot of other items on the menu that makes Adrienne’s Pizza Bar the restaurant to beat, for dining in or takeout. 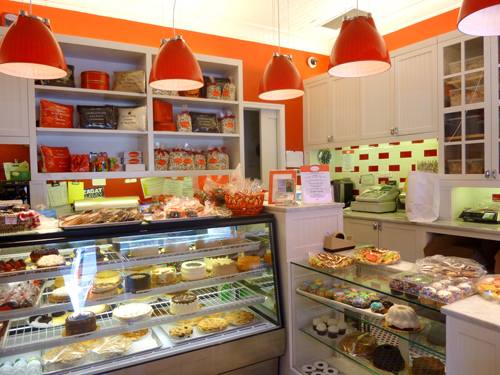 *This Italian food joint is the West Village version of the Pepe Rosso To Go in SoHo. 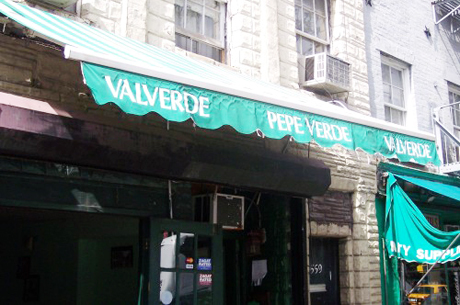 Pepe Verde offers a few of the best Italian deals you can ever find in New York City. This Italian food joint works with a small menu of the most hearty and Italian dishes, made fresh and of great quality. Enjoy their Fettuccine Porcini Mushroom in Tomato Cream Sauce for as low as $11. *Brooklyn’s favorite inexpensive Italian restaurant, Il Passatore bloomed into true Romagna-based trattoria in Brooklyn. What we love about Il Passatore is the freshness of its dishes, especially the pasta. 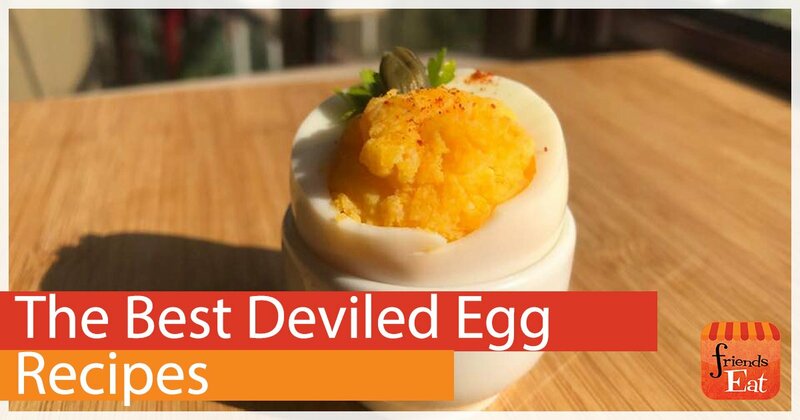 Each bite really gives warmth and comfort, like having real Italian meals at home. The La Piada is a must-try upon visiting Il Passatore. For $7.50, you get a nice treat of unleavened bread baked in a special griddle over charcoal, with different choices of cheese and salami. 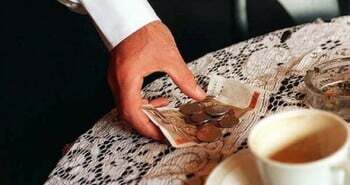 *This Italian deli shop offers the best value sandwiches in town. Hot or cold, meaty or not, Park Italian Gourmet makes everything worth every penny you pay for it. For under $6, you can make your down gourmet sandwiches with the best quality of cold cuts and lots of stuffing to choose from. Others call it Italian fast food, although it is a bit harsh to compare the food joint with the regular fast food chains. 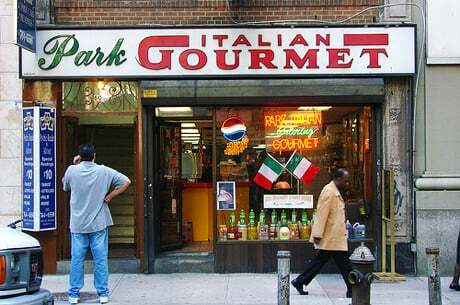 Enjoy some deli goodness with ‎ Park Italian Gourmet’s under $10 menu.